Commerce Secretary Wilbur Ross says he will explore other ways to punish a Chinese cellphone manufacturer, after a surprising tweet from President Trump that said the original penalty was too harsh. Trump tweeted on Sunday that smartphone giant ZTE was losing "too many jobs in China" as a result of U.S. sanctions. He said he was working with Chinese President Xi Jinping to find a solution. "Commerce Department has been instructed to get it done," Trump tweeted. ZTE had originally been fined for illegal sales to Iran and North Korea, and the company agreed to take corrective action. When U.S. regulators found the company had not complied with that settlement, they went further and blocked U.S. suppliers from selling parts to ZTE. That was described as a "death sentence" for the company, which employs some 70,000 people. "ZTE did do some inappropriate things," Ross told the National Press Club Monday. "They've admitted to that. The question is, are there alternative remedies to the one that we had originally put forward. And that's the area we will be exploring very, very rapidly." The conciliatory gesture comes as U.S. officials are preparing to hold wide-ranging talks in Washington, D.C., later this week with China's top economic official, Liu He. A White House spokesman said that ZTE is just one piece of a rapidly changing puzzle. "It's part of the U.S. relationship with China, which is complex," said deputy press secretary Raj Shah. "It has economic factors. It has national security factors. This is just one of many factors." Senate Minority Leader Chuck Schumer, D-N.Y, who has agreed in the past with the president's get-tough rhetoric on China, complained that the administration appears to be blinking. "I'm now very worried," Schumer told reporters Monday. "My worry after this ZTE thing is China will offer us some small-term palliative. They'll say, 'OK, we'll buy some of your products,' and we won't be tough on them stealing intellectual property." Sen. Marco Rubio, R-Fla., also took the president to task. "Problem with ZTE isn't jobs & trade, it's national security & espionage," Rubio tweeted. "We are crazy to allow them to operate in U.S. without tighter restrictions." It would be difficult to find a more quintessential example of the kind of troubling trade practices that the president has long highlighted, which makes his sudden turn in the case of ZTE all the more stunning. 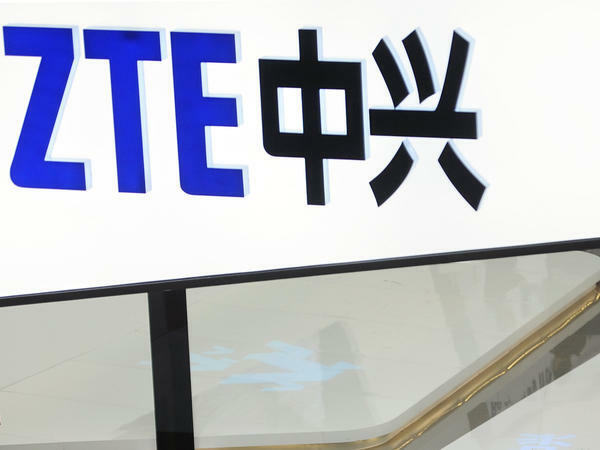 ZTE, the world's fourth-largest maker of cellphones, was found in violation of U.S. rules against selling U.S.-originated technology to certain blacklisted countries. After reaching a more than $1 billion settlement with the Commerce Department as reparation for its Iran and North Korea dealings, ZTE then violated the terms of the agreement by failing to fire some employees and reprimand others who were involved in the illicit technology transfers. Among other things, the Commerce Department imposed a seven-year ban on the company that prevented it from buying parts from U.S. manufacturers. The president's tweet on Sunday appears to have undone all that. "President Xi of China, and I, are working together to give massive Chinese phone company, ZTE, a way to get back into business, fast," Trump tweeted on Sunday. "Too many jobs in China lost." A few hours later, he followed up with another tweet: "China and the United States are working well together on trade, but past negotiations have been so one sided in favor of China, for so many years, that it is hard for them to make a deal that benefits both countries. But be cool, it will all work out!" Although the origins of the case against ZTE dates back years, as CNET reports, "ZTE disclosed earlier this year that while it had gotten rid of several employees, the company hadn't properly reduced the bonuses of some workers, or issued letters of reprimand. The inaction wasn't consistent with a progress report ZTE issued in July. 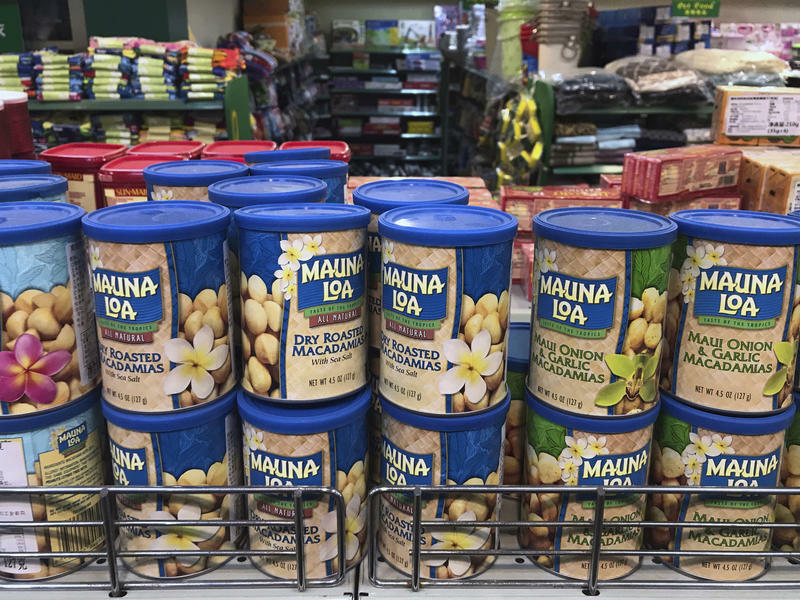 It's because of those false statements that the Commerce Department decided to act." Speaking to NPR's All Things Considered on Sunday, CNET Executive Editor Roger Cheng called the president's move "absolutely a shocker," though he added there could be a domestic explanation for the decision. "ZTE makes smartphones that really utilize a lot of American technology, companies like Qualcomm, which makes processors, or Intel, which makes chips — Corning, which makes display glasses. A lot of these U.S. companies supply major components and software technology to ZTE products," Cheng tells NPR. "So the argument that ZTE has been making quietly is that they actually invest a lot in the U.S. economy," Cheng says. "Last year, they spent more than $2 billion purchasing technology from U.S. businesses. So, that's probably an argument that helped sway President Trump." Trump's tweet Monday afternoon suggested that argument has gained favor with him. "ZTE, the large Chinese phone company, buys a big percentage of individual parts from U.S. companies. This is also reflective of the larger trade deal we are negotiating with China and my personal relationship with President Xi," Trump posted online. Tough economic sanctions by the Trump administration nearly put a Chinese cellphone maker out of business. Now it appears the White House is backing down. President Trump has told his commerce secretary to find another way to deal with China's ZTE Corporation - one that won't cost the jobs of some 70,000 Chinese workers. This comes as the administration holds wide-ranging trade talks with China, and it has drawn criticism from some members of Congress. NPR's Scott Horsley joins us now from the White House to discuss this. Hi, Scott. SHAPIRO: A lot of people were surprised when President Trump made this call yesterday for a different approach to ZTE. Put this move into context for us. HORSLEY: ZTE has been a target of U.S. regulators for some time now, initially for skirting international sanctions and selling smartphone technology to rogue countries like North Korea and Iran. The Commerce Department had already levied fines for that. And then last month, regulators went further and ordered U.S. suppliers like Qualcomm to stop doing business with ZTE. Without those vital American components, the company was effectively shut down. That's when the president threw ZTE this surprising lifeline. After speaking with Chinese President Xi Jinping, Trump said he and Xi were working together to save ZTE, and he told the Commerce Department to get it done. This afternoon, Commerce Secretary Wilbur Ross told reporters at the National Press Club he is looking at how he might do that. WILBUR ROSS: ZTE did do some inappropriate things. They've admitted to that. The question is, are there alternative remedies to the one that we had originally put forward? And that's the area we will be exploring very, very promptly. HORSLEY: Now, Ari, it's not clear what those alternative remedies might look like. The White House did come out with a statement last night saying Ross would exercise his independent judgment, but it certainly sounds as if the commerce secretary has his marching orders. SHAPIRO: Pulling back the camera a bit, there's a lot going on between the U.S. and China. Besides these trade talks, there's the issue that the U.S. needs Beijing's help to deal with North Korea. How does all of this affect what's happening here with this telecom company? HORSLEY: That's right. The White House conceded this is all part of the important backdrop. Here is White House spokesman Raj Shah this afternoon. RAJ SHAH: It's part of the U.S. relationship with China, which is complex. It has economic factors. It has national security factors. This is just one of many factors. HORSLEY: And as you mentioned, it's a sensitive time. You know, the U.S. and China have threatened each other with tens of billions of dollars in tariffs. China's top economic official - he's going to be in Washington later this week for trade talks. And what's more, China's a big player in the pressure campaign against North Korea in advance of Trump's upcoming summit with Kim Jong Un. SHAPIRO: And as we mentioned, some members of Congress are not happy with this move by the president. They think President Trump is letting ZTE off the hook too easily. Tell us more about what they're saying. HORSLEY: And that includes some of the president's fellow Republicans. You know, ZTE's been under the microscope for a long time, not only for selling to rogue countries, but also as a potential cyberthreat here at home. Florida Senator Marco Rubio tweeted the U.S. is, quote, "crazy" to allow this company to operate here in the U.S. without tighter restrictions. And Democratic Senator Chuck Schumer also weighed in, saying the president might be going soft on China. CHUCK SCHUMER: And my worry after this ZTE thing is China will offer us some small-term palliative. They'll say, OK, we'll buy some of your products, and we won't be tough on them stealing intellectual property, on them insisting that we make our goods in China to sell them there instead of allowing us to sell goods, as they are allowed to sell their goods here in America. HORSLEY: And, in fact, Trump tweeted this afternoon part of his thinking in helping ZTE is the large volume of components the company buys from U.S. suppliers. SHAPIRO: That's NPR's Scott Horsley speaking with us from the White House. Thanks, Scott. 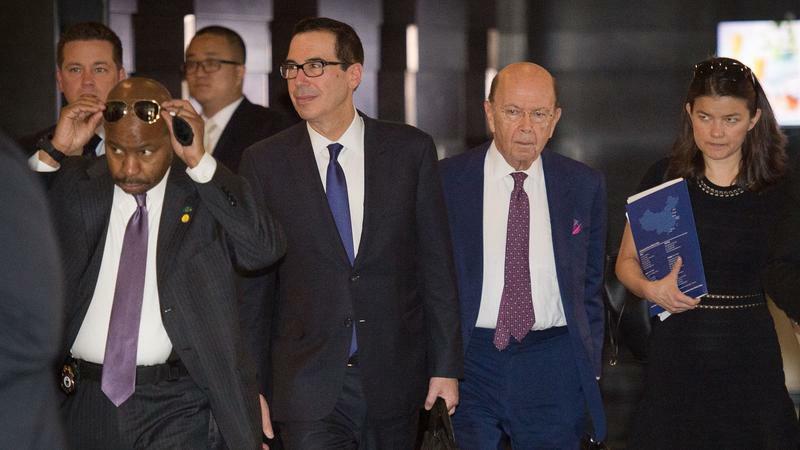 Treasury Secretary Steven Mnuchin and other top U.S. trade officials ended a round of talks in Beijing on Friday, failing to secure large goals that ranged from cutting the trade imbalance by $200 billion by the end of 2020 to stopping China from targeting U.S. technology and intellectual property. Both sides say the talks will continue with quarterly meetings.